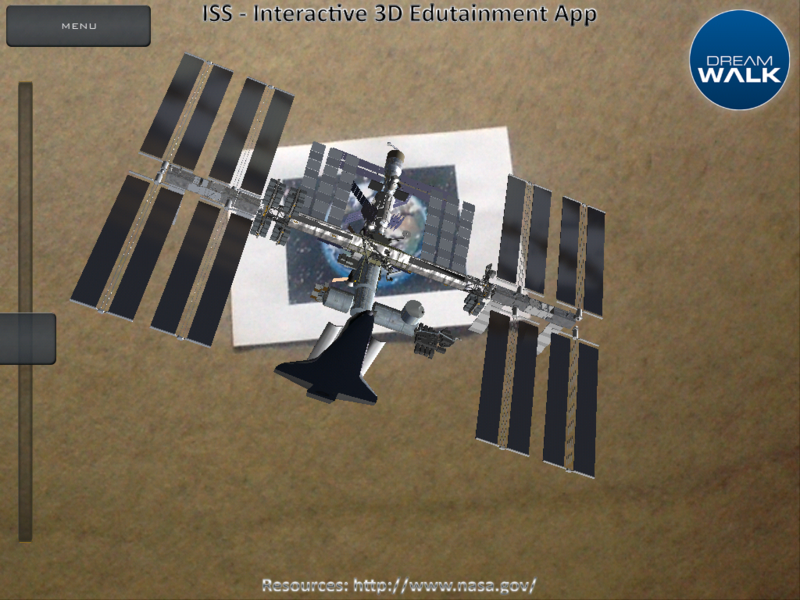 International Space Station ISS edutaiment app.Photorealistic real time interactive 3D model of International Space Station (ISS) in fascinating Earth orbit. Revolutionary new DREAMVIEW introduces interactive 360° spatial viewing. Application also allows rotation/zoom of the three-dimensional model. 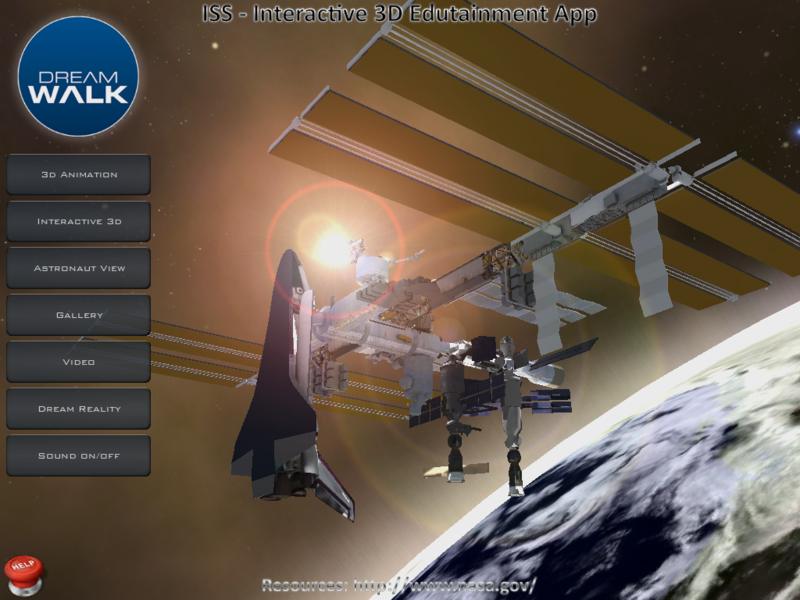 Best ISS 3D is also educational about International Space Station station’s structure and modules. Photo and Video galleries include authentic material documenting real operation of the station.